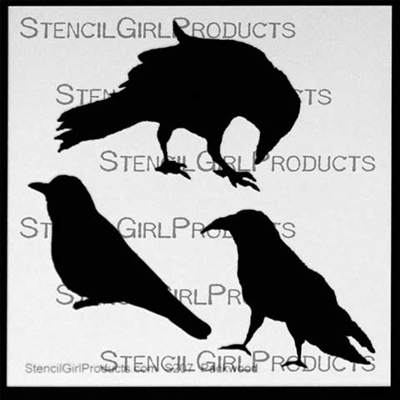 I'm up on StencilGirls Throw Back Thrusday today and I picked the Three Crows stencil designed by Kimberly Baxter Packwood who was inspired by crows that played happily on the roof of her house. The crows gathered crabapples from the ground then flitted up to the roof where they dropped the crabapples just to watch them roll off the roof. 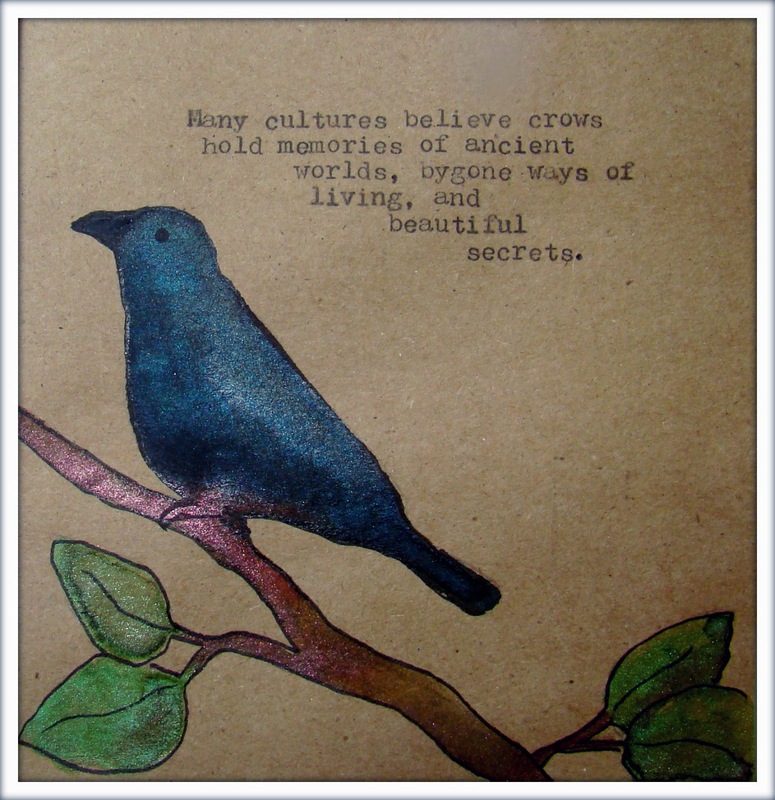 I created a small booklet that is inserted into my larger journal. The first crow was stenciled using ColourArte's shimmering Twinkling H20's watercolors and I just love all that shimmer and shine that shows through! 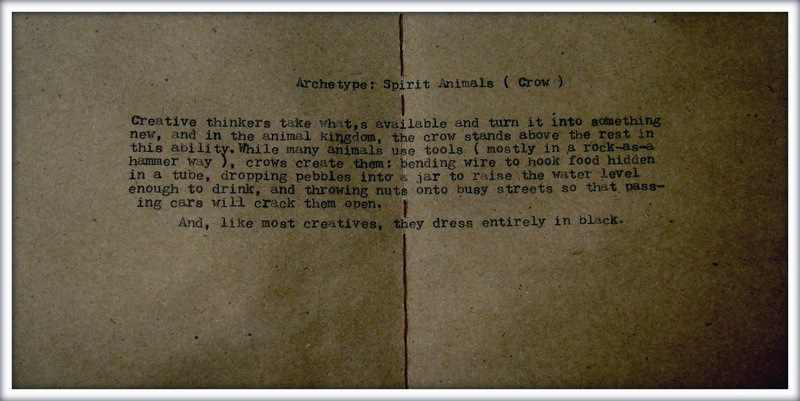 The middle insert talks about the crow as a spirit animal archetype. Mary Beth Shaw turned me onto this book: Art Journal Your Archetype: Mixed Media Techniques for finding yourself which I really loved because I learned so much about myself. The next crow was created by tracing the image onto some cardstock which I then added some brown ink over it to distress it some and cut it out and glued it onto the paper. I really like the writing used as a grounding tool. Hope you are having a wonderful day, thanks for stopping by! 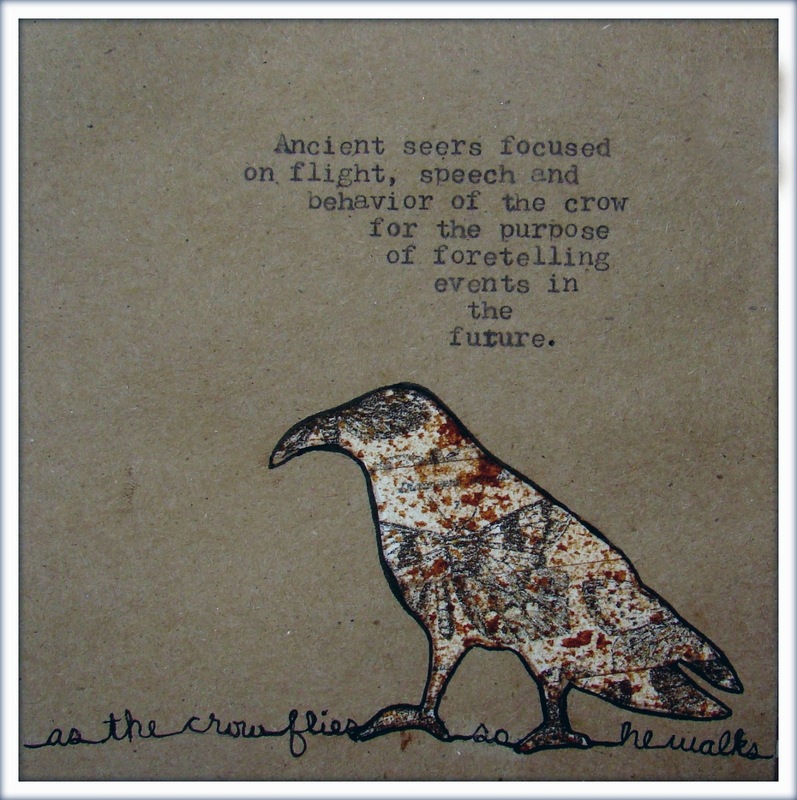 artifact an object made by a human being, typically an item of cultural or historical interest. Cultural artifact, anything created by humans which gives information about the culture of its creator and users. I am joining in on Seth Apter's #ARTifacts. It's a collaborative project for 2017 documenting adventures in art and since I have so much going on right now I figure this will be a great year to record. We are suppose to make a physical artist book to hold these memories so I am going to make a toilet paper cardboard tube booklet with removable tags. I have am learning that it is harder to use a manual typewriter than I remember! Technology has once again spoiled me but I still love using it. The bottom portion of the tag is a bit messed up and I'll have to tape the tag to a sheet of paper next time instead of just sticking the tag into the platen. I have a little catching up to do, making the cover and making one for January but I think I'll be able to catch up quickly. Daisy Mae is doing great, she still tries to eat the fringe on my afghan and is a real stinker about it. I am now foraging for her, picking fresh (pesticide free) grass for her and some violets. Her favorites are the white clover flowers but they haven't bloomed yet...soon Daisy Mae...soon. We had a not so untypical snowfall the other day, that's life in the mountains, it was actually all melted by the afternoon. I love the pop of red from the Maple tree flowers against the snow. Still chugging along on the Bearfootin' Bear, was very lucky to have had such warm weather to work on her outside for the last month and a half but that has not been the case these last few days. I do love however dressing her up for photoshoots since I am not allowed to post full pictures of my work until the big reveal. I am sure that wherever you live there will be an abundance if new births come springtime, even flowers are re-born each year. I live close to the Carl Sanburg home and everyone really enjoys the baby goats born each spring, they even announce their birthing schedules! 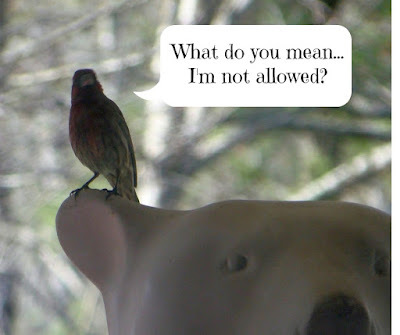 March Challenge - Re-birth for Canvas Corp Brands. Spring officially arrives in 15 days although we've had springlike weather for the last month and already have daffodils blooming.